Albaladejo, J., 2016. Soil: a C sink to mitigate climate change. AIMS Agriculture and Food, 1(3): 354-356. Almagro, M., de Vente, J., Boix-Fayos, C., García-Franco, N., Melgares de Aguilar, J., González, D., Solé-Benet, A., Martínez-Mena, M., 2016. Sustainable land management practices as providers of several ecosystem services under rainfed Mediterranean agroecosystems. Mitigation and adaptation strategies for global change, 21:1029–1043. Butterfield B.J., Bradford J.B., Armas C., Prieto I., Pugnaire F.I., 2016. Does the stress-gradient hypothesis hold water? Disentangling spatial and temporal variation in plant effects on soil moisture in dryland systems. Functional Ecology, 30: 10-19. Chimento, C., Almagro, M., Amaducci, S., 2016. Carbon sequestration potential in perennial bioenergy crops: the importance of organic matter inputs and its physical protection. Global Change Biology Bioenergy, 8(1): 11-121. 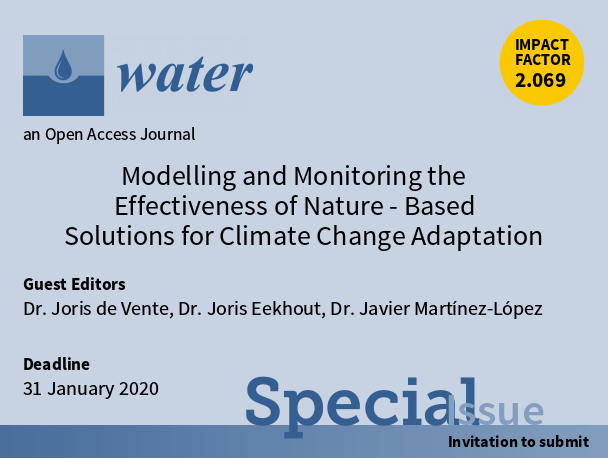 Defrenet, E., O. Roupsard, K. Van den Meersche, F. Charbonnier, J. Pastor Pérez-Molina, E. Khac, I. Prieto, et al. 2016. Root biomass, turnover and net primary productivity of a coffee agroforestry system in Costa Rica: effects of soil depth, shade trees, distance to row and coffee age. Annals of Botany, 118: 833–851. de Vente, J., Reed, M.S., Stringer, L.C., Valente, S. and Newig, J., 2016. How does the context and design of participatory decision-making processes affect their outcomes? Evidence from sustainable land management in global drylands. Ecology & Society, 21(2): 24. García-Palacios P., Prieto I., Ourcival J.M., Hättenschwiler S., 2016. Disentangling the Litter Quality and Soil Microbial Contribution to Leaf and Fine Root Litter Decomposition Responses to Reduced Rainfall. Ecosystems, 19(3): 490-503. Germon A., Cardinael R., Prieto I., Mao Z., Kim J., Stokes A., Dupraz C., Laclau J.P., Jourdan C., 2016. Unexpected phenology and lifespan of shallow and deep fine roots of walnut trees grown in a silvoarable Mediterranean agroforestry system. Plant and Soil, 401(1): 409-426. León-Sánchez L., Nicolás E., Nortes P., Maestre F.T., Querejeta J.I., 2016. Photosynthesis and growth reduction with warming are driven by non-stomatal limitations in a Mediterranean semiarid shrub. Ecology and Evolution, 6(9): 2725-2738. Macek, P., I. Prieto, J. Macková, N. Pistón, and F.I. Pugnaire. 2016. Functional Plant Types Drive Plant Interactions in a Mediterranean Mountain Range. Frontiers in Plant Science, 7: 1–11. 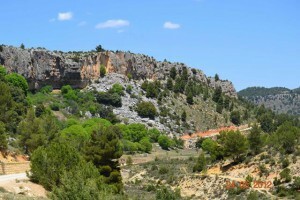 Montesinos-Navarro A., Verdú M., Querejeta, J. I., Sortibrán L., Valiente-Banuet A., 2016. Soil fungi promote nitrogen transfer among plants involved in long-lasting facilitative interactions. Perspectives in Plant Ecology, Evolution and Systematics, 18: 45-51. Pedrero, F., Alarcón, J.J., Abellán, M. & Perez-Cutillas, P. , 2016. Optimization of the use of reclaimed water through groundwater recharge, using a Geographic Information System. 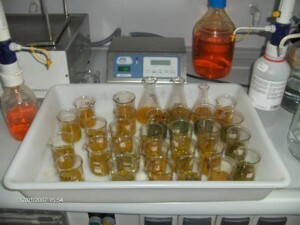 Desalination and Water Treatment, 57: 4864–4877. Pistón N., Schöbb C., Armas C., Prieto I. and Pugnaire F.I., 2016. Contribution of co-occurring shrub species to community richness and phylogenetic diversity along an environmental gradient. Perspectives in Plant Ecology, Evolution and Systematics, 19: 30–39. Prieto I., Stokes A., Roumet C., 2016. Root functional parameters predict fine root decomposability at the community level. Journal of Ecology, 104: 725-733. Prieto I., Roldán A., Huygens D., Alguacil M.M., Navarro-Cano J.A., Querejeta J.I., 2016. Species-specific roles of ectomycorrhizal fungi in facilitating interplant transfer of hydraulically redistributed water between Pinus halepensis saplings and seedlings. Plant and Soil, 406(1): 15–27. Ruiz-Navarro A., Barberá G.G., Albaladejo J., Querejeta J.I. 2016. Plant δ15N reflects the high landscape-scale heterogeneity of soil fertility and vegetation productivity in a Mediterranean semiarid ecosystem. New Phytologist, 212(4): 1030-1043. Salvati, L., Kosmas, C., Kairis, O., Karavitis, C., Acikalin, S., Belgacem, A., Solé-Benet, A., Chaker, M., Fassouli, V., Gokceoglu, C., Gungor, H., Hessel, R., Khatteli, H., Kounalaki, A., Laouina, A., Ocakoglu, F., Ouessar, M., Ritsema, C., Sghaier, M., Sonmez, H., Taamallah, H., Tezcan, L., de Vente, J., Kelly, C., Colantoni, A. and Carlucci, M., 2016. Assessing the effectiveness of sustainable land management policies for combating desertification: A data mining approach. Journal of Environmental Management, 183 (3): 754-762. Bombino, G., Boix-Fayos, C., Denisi, P., Tamburino, V, Zema, D.A., Zimbone, S.M., 2016. 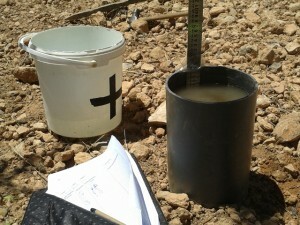 Erosion and sedimentation close to check-dams: the case study of the fiumara Sant’Agata (Calabria, Southern Italy). Idronomia montana 34, 1-10. Díaz-Pereira, E., de Vente, J. 2016. Riesgo de erosión por cárcavas y tecnologías para su control y restauración en medios semiáridos. XV Coloquio Ibérico de Geografía. Retos y Tendencias de la Geografía Ibérica. Universidad de Murcia AGE-APG.